Enpass 4.0.0 update adds new custom fields and label editing and comes in a complete new logo and design. 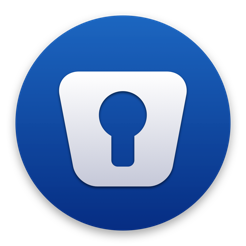 Enpass 4.0.0 password manager was released on April 30, 2014 on all platforms: iOS (iPhone and iPad), Mac OS X, Windows (XP, Vista, 7), Windows Phone 8 and 8.1, Android and Blackberry. As a result of this update, now Enpass is really (in contrast to the predecessor Enpass 3.0.3) the best password manager for iOS (iPhone, iPad, iPod touch), Mac OS X and Windows (running on Windows 8.1) in regard to cost-performance based on my personal findings: 1Password has much more functions, but it is much more expensive (Mac version $49,99 EUR, Windows version $49,99, iOS version $17,99). SafeWallet is free, but there is no Mac companion available. The Mac and Windows versions are still free. Enpass versions for Windows Phone, Android and Blackberry are also available. The later two I did not test yet. Ability to add custom fields to an item. Ability to edit labelortype of an item. Ability to add folders to sidebar. Ability to change icons of folders. New square colorful icons for items. New templates added and improvements in existing ones. Ability to change an item icon. Option to disable audio feedback while login. Ambiguous characters removed from password generator. Performs deep search in item fields on pressing enter. Open in last used folder or category. Add multiple items to folder or favorites at once. Ability to create items within folders and add to it. Ability to create items within favorites and add to it. Long field values ellipses bug fixed. Incorrect search results bug for non-english language fixed. Syncing passwords between different platforms is only possible with Dropbox. The iOS version of Enpass 4.0.0. is universal (iPhone and iPad) and costs $4,99. There is also a lite version of Enpass, which is for trial purpose only and allows you to store only up to 10 items. Enpass for Mac has the similar flat design like the iOS app and is cost-free. There is a Dropbox and iCloud sync option, too. The Windows Phone 8/8.1 version of Enpass 4.0.0 costs the same ($4,99) as the iOS version and there is a lite version for testing, too (allows you to store only up to 10 item). There is a Dropbox and OneDrive (SkyDrive) sync option, too. Enpass for Windows has the similar flat design like the iOS app and the Mac app. Enpass for Windows XP, Windows Vista and Windows 7 can be downloaded here. There is no native Windows 8 app, but it is perfectly running on Windows 8 and Windows 8.1. There is a Dropbox and OneDrive (SkyDrive) sync option, too. For syncing iOS and Mac devices with a Windows PC Dropbox sync has to be activated. In contrast to the iOS and Windows Phone 8/8.1 version, Enpass for Android is free for downloading, but offers in-app purchases. There is a Dropbox, GoogleDrive and OneDrive (SkyDrive) sync option, too. The Blackberry version is cost-free and can be downloaded here. There is a Dropbox and Box.net sync option, too. Taking everything into account, Enpass 4.0.0 is the best password managing apps for my personal needs, especially, because of the multi-platform versions. What is your opinion about Enpass? Let us know and comment!